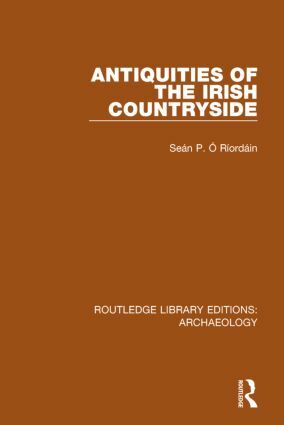 No country is as rich in field antiquities as Ireland, and this work gives an account in simple language of the origin, purpose, date and distribution of all classes of monuments with the exception of ecclesiastical remains and medieval castles. It provides the general reader with all the information he is likely to need on such monuments as forts, megalithic tombs, crannogs and stone circles and is an exceptionally useful book for the student. Published in 1979, this fifth edition was thoroughly revised and updated to include more recently discovered sites and new interpretations. Includes map and chronological table.